A press conference this afternoon featured the participants of the “Return to Glory: Bermane Stiverne vs. Deontay Wilder” main card face off against each other and the media before Friday afternoon’s weigh-ins, and two days before their bouts Saturday, Jan. 17 which air live on Showtime from the MGM Grand Garden Arena in Las Vegas. The undefeated junior welterweight Amir Imam (15-0, 13 KOs) of New York and Albuquerque’s best boxer Fidel Maldonado Jr. (19-2, 16 KOs) traded verbal jabs before their highly anticipated 10-round fight for the WBC Continental America’s 140-pound title fight, in a bout that will open the Showtime telecast. 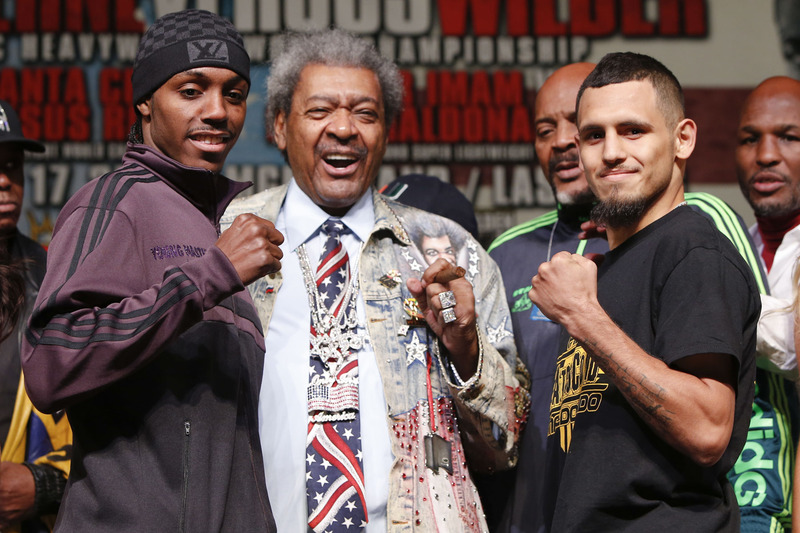 The fight will be both men’s biggest payday with Imam, the Don King Productions product, bringing in $45,000 and Maldonado Jr., the Golden Boy Promotions fighter, bringing in $50,000. European odds lean toward Imam where he is anywhere from a 7 to1 to 9 to 1 favorite while Maldonado Jr. comes at a very surprising 5 to 1 underdog. Tickets for the event are on sale and priced at $500, $350, $250, $125 and $50, not including applicable service charges and taxes. Tickets are limited to eight (8) per person with a limit of four (4) at the $50 price range. To charge by phone with a major credit card, call Ticketmaster at (800) 745-3000. Tickets also are available at www.mgmgrand.com orwww.ticketmaster.com.